Returning to Nashville for just the second time ever, and first in four years, Australian indie rockers The Temper Trap are celebrating the release of their fantastic third album Thick As Thieves, and are set to play Lightning 100’s Nashville Sunday Night Oct. 9 at 3rd & Lindsley in support, along with buzzy up and comers Coast Modern. 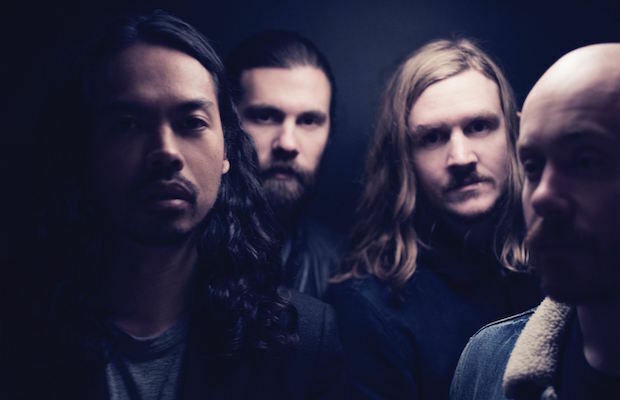 An incredible live act with an eclectic, poppy, and anthemic catalogue, The Temper Trap are definitely one of our favorite indie groups to emerge in recent memory, and if you want a rare chance to see them in action in Music City, you can head here to buy tickets. Additionally, we’re giving away a pair of tickets to one lucky fan, so read on for details and enter below! Formed in 2005 in Melbourne, Australia, though now claiming London, Berlin, and New York as their home bases (they apparently get around), indie rockers The Temper Trap exploded onto the scene with their strong 2009 debut full-length, Conditions, propelled by breakout single “Sweet Disposition.” Swept up in a sea of buzz, the band found their music soon tapped for film and television, along with plenty of radio play, and began touring the globe and appearing at festivals, swiftly building an audience thanks to their poppy, anthemic, and heartfelt sound. The group’s eponymous 2012 sophomore effort didn’t manage to make quite as much of a splash as their debut did stateside, but helped increase their exposure across the world, adding more glass, keyboard, and pop tendencies, and maturing their sound. Their newly released third album and first since the departure of longtime guitarist Lorenzo Sillitto, called Thick As Thieves, marks their best, most fully-realized effort to date, frontman Dougy Mandagi really pushing his unique voice and huge hooks to new heights, as the group settled into a glistening, contemporary indie sound. A commanding live presence with a decade of constant touring, opening for acts like The Rolling Stones and Coldplay, under their belt, The Temper Trap are as electrifying live as in recording, and given their infrequent visits to Nashville, you’d better make this show a priority. Los Angeles indie pop duo Coast Modern have only been a band since last year, but that hasn’t stopped them from already amassing some serious buzz thanks to breakout singles “Hollow Life,” “The Way It Was,” “Animals,” and “Guru.” The duo, Luke Atlas and Coleman Trapp, first met after moving to LA, writing songs together with little success. However, after Trapp returned to his native Colorado, a new spark of inspiration hit, and they began long distance writing what would be become Coast Modern’s first batch of tracks. With a layered, poppy, trendy indie sound, they’ve quickly gained a following, and, despite only playing their first show at this year’s SXSW, have already toured with the likes of BØRNS and The Wombats. Clearly a rising act to keep an eye on, keep hip to Coast Modern if you’re not already! Winner will be announced Thursday, Oct. 6 at 3 p.m. CDT, and will receive one pair of tickets. Good luck! Win Tix to The Temper Trap at 3rd & Lindsley! The Temper Trap and Coast Modern will perform Sunday, Oct. 9 at 3rd & Lindsley. The show is all ages, begins at 8 p.m. (doors at 6 p.m.), and tickets are available to purchase for $27.50.